SPECIAL DUNEDIN TOWNHOME Bella Costa is a part of a complex on St. Joseph Sound with its own shaded park and sandy beach on the Intercoastal. 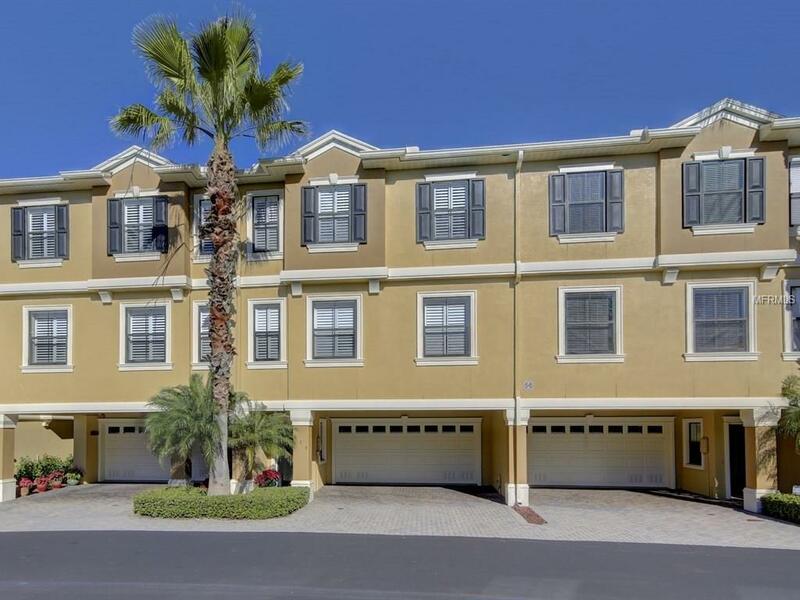 This like new townhome has an elevator and large 2-car garage. You have the amenities of a home with no maintenance. The chef is happy in a functional and pretty kitchen adjoining the casual area. There is even a desirable screened porch for watching the birds gather while you have morning coffee or evening wine. Master suite is exceptionally spacious with big closet and modern bathroom. The complex has a resort feel with pool, clubhouses, tennis, shuffleboard and kayak storage and launch. Come enjoy the best of Dunedin, from beaches, to Pinellas Trail, downtown restaurants and shops, and a vibrant arts culture. Additional Lease Restrictions Check With Sentry Management Company For Lease Restrictions. Buyer/Agent To Verify info. Pet Restrictions See Rules And Regulations For Any Pet Restrictions.